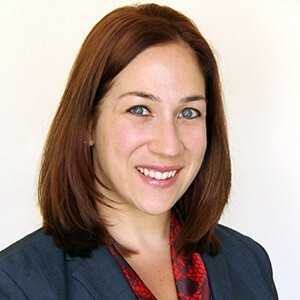 Stacy Seligman Kravitz joined the USC School of Cinematic Arts in the fall of 2013 as Director of Events & Stewardship. In this role, she plans and executes all donor-recognition events including room and building dedications, Endowed Professorship and Chair installations, Openings, the Faculty Commencement Luncheon, SCA Network receptions and private events for the Dean. Stacy also oversees the School’s stewardship program and handles Development tours of the School. Her background includes more than a decade in the nonprofit sector and over fifteen years of professional experience managing high-level special events. Stacy began her career in production and talent coordination for live television specials like the Academy Awards and Emmy Awards and in other entertainment industry companies including The William Morris Agency. She did public relations with The Lippin Group, where she covered live events including the AFI Lifetime Achievement Awards and the SAG Awards. In 1996, Stacy worked with the U.S. Olympic Committee on events for major corporate sponsors of the Centennial Olympic Games. At Merv Griffin Productions, Stacy was part of the team who produced the 2000 Democratic National Convention Welcome Party and an international private event for a prominent philanthropist. Stacy transitioned into the nonprofit world in 2002, serving as Director of Special Events at the Fulfillment Fund for seven and a half years, where she was responsible for events including the annual STARS Gala, recognized by BizBash as one of the top five fundraisers in Los Angeles. Before joining USC, Stacy spent more than four years at Cedars-Sinai Medical Center in the Department of Community Relations as Senior Team Lead and Producer of Special Events. She handled milestone events including their campaign-closing celebrations and the groundbreaking and opening of the new Advanced Health Sciences Pavilion building. Born and raised in Los Angeles, Stacy received a bachelor’s of arts degree in Philosophy and a minor in Sociology from Emory University, and completed a Semester at Sea where she enjoyed experiential learning in ten countries throughout South America, Africa and Southeast Asia. She is excited to return to the world of education and together with her husband, Bill, is the proud parent of her son Dylan.